Who chooses the names of proposed legislation? In this instance, that person (or that group of folks) did a great job with the name. Who would not be in favor of something called the Tax Cuts and Jobs Act? I mean really, how would you like to be one of those legislators who votes against such legislation and is then required to answer a question like “Senator, how could you have voted against tax cuts and jobs?” ? 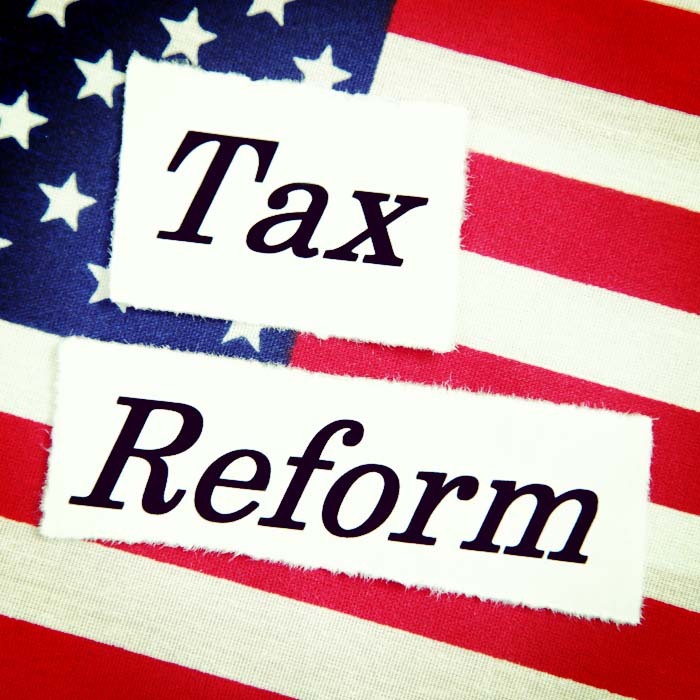 Yesterday, Thursday, November 2, 2017, the Republicans in the House unveiled their proposed legislation that is intended to serve as the basis for the long-promised and much-publicized tax reform. The bill is called The Tax Cuts and Jobs Act, but we will refer to it in this post simply as the Tax Reform Bill. At least we appear to be making some progress. This is the first real step taken since the Trump administration released its big picture framework back on September 27th. Back then, we had ideas; now we have a few details. There is no question that between now and the time that a tax reform law has passed both the House and the Senate and makes its way to the desk of POTUS, there will be many revisions, much haggling and negotiation and horse trading. In other words, don’t get too comfortable with how this first version of the Tax Reform Bill looks. Even so, it is a start, a first draft bill and that is significant in and of itself. So what is in the Tax Reform Bill at the moment? Great question. While all of this sounds great (and it is good news), the reality is that the publicity will outweigh the real benefits. This is in many ways a lot of hype about something that is largely irrelevant. How so? At present, less than 1/5th of 1% (.2%) of all estates fall within the federal estate tax–and that is in the context of today’s estate tax rules and regulations. Therefore, if this legislation passes as presently constituted and first the annual exclusion amount is doubled, and then, eventually, the federal estate tax and the GST go away altogether, it will mean that the already VERY small group of folks benefited from such change will become an even smaller group. In other words, while it may garner much political news to know that death tax is dead, the fact is that almost nobody you know, or I know will benefit from this change. Still, it is good news. Afterall, who likes the idea of the death tax in general? We pay enough in taxes while we are alive, we should not have to pay more at death, right? So again, this is conceptually and politically significant, but in reality–not so much. In truth, this is something that would truly benefit only the very wealthy, so if you hear about the clamor of uber-rich benefiting from tax reform, among other things, this is where they would benefit. At the same time, this is not something akin to taxing the poor to benefit the rich (at least not directly), as the ultra-wealthy would simply benefit by not having to pay the estate tax or GST (as those taxes would go away), with no direct corresponding burden on the non-wealthy. But what about all of the lost revenue from not having these taxes to put money in the coffers of the Federal Government? In reality, because so few estates pay such taxes, the overall impact of such “lost revenue” is quite insignificant. That reality is one way in which the Democrats may agree to go along with such tax changes and will use such revenue data to justify the same to their constituents. It is significant to note that this first version of the Tax Reform Bill does not introduce a new level of capital gains tax as a replacement for the estate tax and GST. During Donald Trump’s campaign, such a new capital gains tax regime was discussed and proposed by him as a tradeoff for doing away with the estate tax and GST. Perhaps this is not yet off the table, and maybe some capital gains enhancement will still be required in the negotiation process. Time will tell. There has been a lot of talk, even as recently as yesterday, about the pending reduction in permitted contributions to retirement accounts and that this would be a required part of the Tax Reform Bill. The idea here is to limit the amount of money each person can contribute on a tax-advantaged basis so that more of the money is then available for taxing at present. If we are concerned about lost tax revenues, such reduction in permitted contributions to retirement accounts (and the attendant tax benefits) has the potential for generating an enormous amount of tax revenue. After all, for a great many Americans, their retirement savings accounts represent one of their largest and most valuable assets (and for good reason). This will be another item to watch closely as this process unfolds. Let’s recap where we stand in this tax reform process. We started with a “framework” proposal a couple of months ago, which met with much debate and discussion. As of yesterday, we now have the first draft of proposed legislation. This legislation will, with any luck, eventually go to the floor of the House of Representatives for debate, revision, negotiation and (hopefully) a vote. Assuming some version of this Tax Reform Bill makes its way out of the House, it will then be the Senate’s turn to review, revise, debate and (hopefully) vote. If the process continues to move in the right direction and leaves the Capital en route to the White House, it will have to be a bill that POTUS will sign into law. Presumably, given the Republican majority in the House and the Senate, if something passes from the legislature to the White House, it is highly likely to become law. President Trump and his fellow Republicans in Washington are hoping to deliver the long-promised and dreamed-of tax reform by Christmas (a “present” to the American people). We shall see.